Water and Community events provide a public venue for learning about the science of water, how this essential resource is being managed in our region, and how it impacts our community. Please find the details, presentations, and supporting materials from each Water and Community event below. 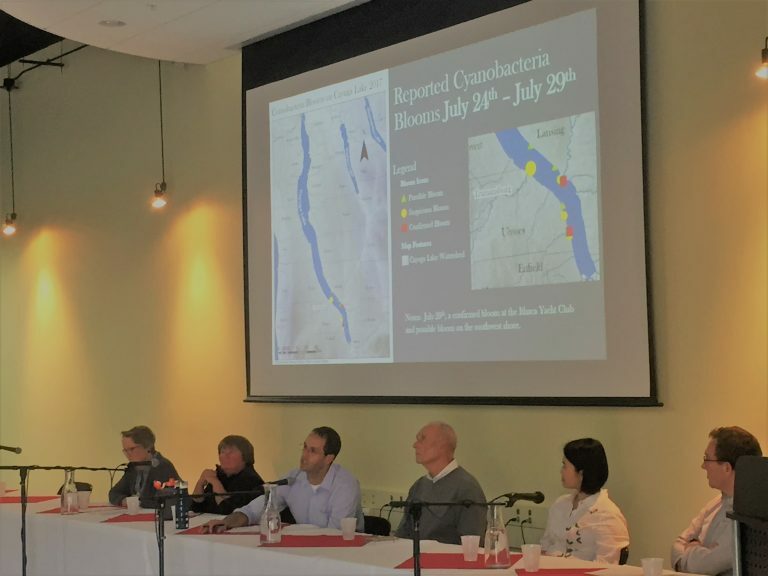 The Community Science Institute, co-sponsors Cayuga Lake Watershed Network and Floating Classroom, and other organizations addressed the concerns surrounding the 2017 outbreak of suspicious algal blooms in Cayuga Lake. Speakers highlighted key aspects of the ecology and toxicity of blue-green algae, reviewed measures taken to protect public health, and responded to questions from the audience. Participating organizations offered a wealth of HABs related information. 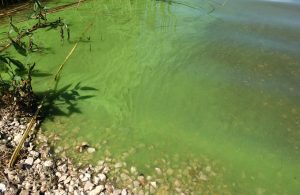 Check out CSI’s interview with WHCU’s Lee Rayburn about harmful algal blooms. A closer look at microcystins, one of the more common toxin types.